Miami Children’s Hospital is one of the area’s most well-known medical facilities; but now the hospital is telling one family it is not responsible for their daughter’s stroke because the family can’t show that doctors, nurses, or anyone who treated their daughter works for them. Not a single person. Team 6 Investigators found the defense could be one used by South Florida hospitals and have an impact on you when seeking medical care. “Sometimes it’s hard for me to do stuff,” said 11-year-old Kelly Lopez, who had a stroke after being treated at Miami Children’s Hospital. “I say it with almost tears in my eyes. She’s not the same. She is not the same Kelly after three strokes,” said Karin Gerdes, Kelly’s mom. Kelly’s parents say her brain damage could have been prevented if they were directed to have Kelly undergo corrective blood vessel surgery. The Lopezes told NBC 6 that after careful research, they trusted what they thought was the best. Miami Children’s Hospital promotional videos say its nationally renowned for its neurology and neurosurgery program and has been recognized this year by US News and World Report for its programs. Lopez showed NBC 6 how Resnick is on Miami Children’s own website touting the excellent care. The website also indicates Resnick is the Chairman of the Neurology Department at Miami Children’s. The address on his medical license is Miami Children’s location too, and on the third floor, inside the hospital, we found a sign just outside the Neurology Department where Resnick is the first doctor listed. The sign says he is the chief of the department. Resnick’s name is under the hospital's logo on Resnick's handwritten notes about Kelly. “I feel betrayed,” said Gerdes. The family alleges Resnick told them Kelly would be fine, no surgery required, but six months later the strokes came. The family says tests indicate she’s performing like an 8 year-old in 3rd grade, not a 5th grader. Resnick settled malpractice legal action against him without admitting any wrongdoing but now the family is suing the hospital saying that Miami Children’s should also have to pay for their daughter’s future medical needs. In its legal filings to the court, the hospital says that the Lopez family hasn’t presented any facts whatsoever that indicate it’s been negligent or that it’s liable for the actions of Dr. Resnick or any of the other physicians, lab personnel, or nurses who came in contact with their daughter Kelly. “Don’t tell me that he’s the best of them at the hospital. And then at the end they say, ‘No, he doesn’t work for us,’” said Gerdes. Team 6 Investigators spoke with independent medical and legal experts who say the hospital's response should be a wake-up call for everyone. “The playing field is very different. Before you went into a hospital and you assumed that everybody belonged to the hospital and that’s not the case anymore. Contract workers are working in hospitals,” said Dr. Michelle Powell, North Miami Beach Physician. “When we went in the hospital he has the name tag. 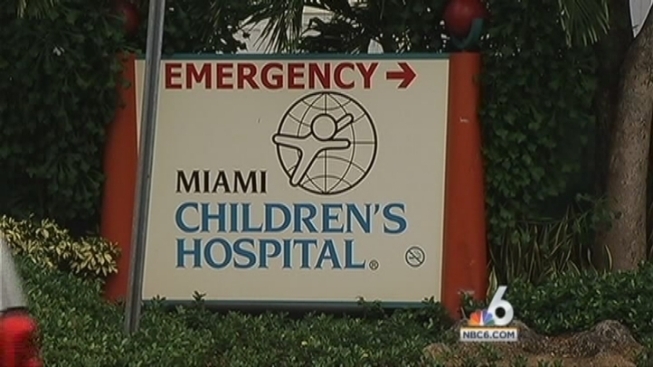 It was saying Miami Children’s Hospital,” said Jose Lopez. The Lopez’s say Resnick even had an official ID but we found that’s not confirmation of employment either. Dr. Powell showed us her badges from hospitals where it says staff, but she’s not. “No. No. In fact, most hospital facilities will say medical staff,” said Dr. Powell when asked about the badge. Dr. Powell believes that patients who see the word "staff" on her hospital badges would think she works there. The Lopezes say they feel duped by Miami Children’s promotions. “If I knew he wasn’t working for the hospital, I wouldn’t stay there,” said Jose Lopez. The Lopezes contend if they would have known what Miami Children's is saying now, Kelly’s future would be different. “The advice I can give patients is to ask those questions when they treat with these medical providers. See whether they are actually affiliated with the hospital,” said Kelly Arias, Personal Injury Attorney. Miami Children’s would not comment further and Dr. Resnick’s attorney says he resolved his portion of this matter. Both hospitals where Dr. Powell sees patients chose not to comment. The Lopezes say Miami Children’s should post clear signs telling patients up front, who is treating them. We discovered few limits where this situation can play out. A similar denial was made by a cruise line defending itself after an infant died on board its vessel.